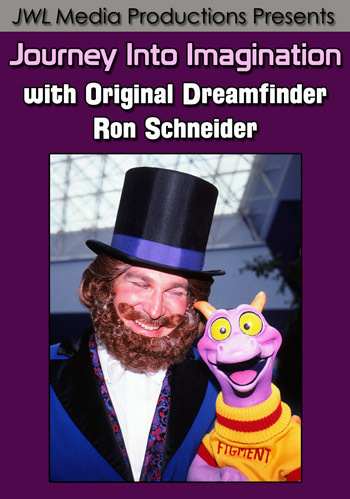 This week we noticed a nice tribute to Dr. Teeth and The Electric Mayhem Band in the Stage 1 Company Store at Disney’s Hollywood Studios. 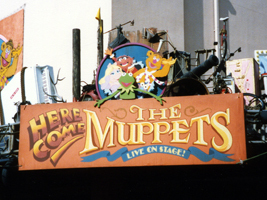 The famous Muppet band has a long history at Disney-MGM Studios, first appearing in the “Here Come The Muppets” (1990-1991) live stage show (performed in the theater now showing Voyage of the Little Mermaid) and “Muppets On Location: Days of Swine and Roses” (1991-1994) performed in the area where the Cars meet & greet is now located. 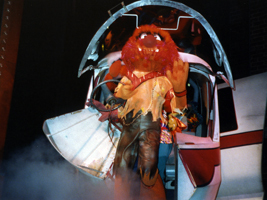 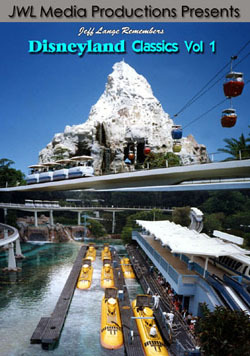 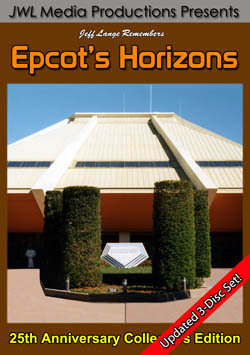 In the “Here Come The Muppets” show the Muppets arrived via monorail, which crashed through the stage (below, right).